Two things are known for certain about Elena Ferrante. One; she was born in Naples, Italy. Two; she's one of the greatest contemporary fiction writers alive. Everything else - her age, gender, appearance, location, - is a mystery, and her identity is the subject of fierce and frustrated speculation in the literary world. Goodreading has come down with a bad case of #ferrantefever this month, as the last installment of Elena Ferrante's Neapolitan Novels, The Story of the Lost Child, is published. 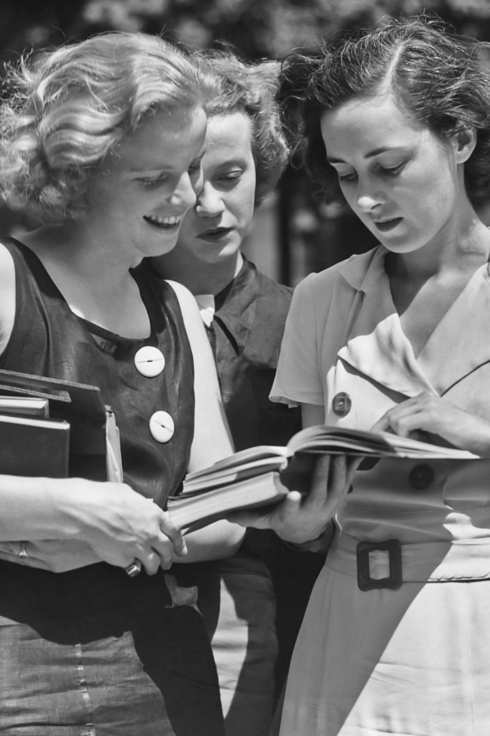 Select Good Reading in the e-Magazines resources page on the Library's website and it will take you straight to the entire issue for you to read on your computer or tablet. “I believe that books, once they are written, have no need of their authors. If they have something to say, they will sooner or later find readers; if not, they won’t.” - Ferrante in a letter to her editor. 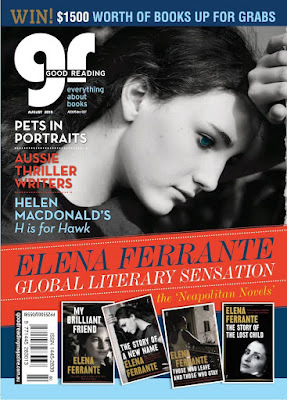 Read the cover story to find out more about the globally acclaimed author. Good Reading also check in with Philippa Gregory to find out which books inspire her brilliant historical novels. Then rev up your heart rate with our interview with ThrillerEdge, a fast-growing coterie of Australia's best action writers. Also find out the story behind Helen Macdonald's H is for Hawk, and how you can age gracefully with Growing Old Without Feeling Older. You'll also find articles from Kate Forsyth and Alice Hoffman, and a huge Fathers' Day Gift Guide in time for Dad's special day coming up in a few weeks' time.